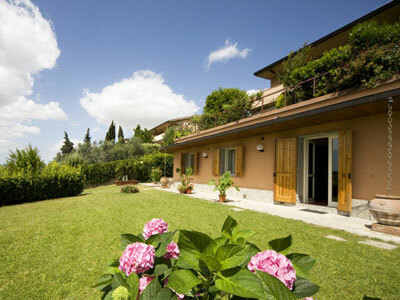 Casa Vacanze Massoni is situated in a beautiful location in the heart of the florentine hills, only few kilometres far from the city centre and Fiesole. This strategical location allows you to reach in few minutes the wonderful Florence and it's a good starting point to visit the famous areas of the Chianti and the Mugello. The villa is divided in 2 apartments for a total of 12 beds. Nearby there are many shops, a supermarket, bank, post office, cafè, petrol station, restaurants. Only 200 metres from the villa there is an agreed pool which guests can use from June to September. Low season: 01/Jan - 11/Apr; 01/Nov - 19/Dec.